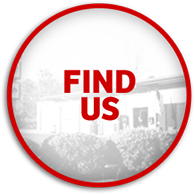 Gainesville GA Tires Wheels & Auto Repair Shop | Oakwood Tire Co. Your car needs regular maintenance for the best performance, fuel economy, and useful life. Our service technicians have years of combined experience in the automotive service field. From an oil change and tire rotation to brake repair and suspension system service, we keep you running in Gainesville, GA, Oakwood, GA, Flowery Branch, GA, and surrounding areas. Visit our convenient location today at 3120 Atlanta Highway, Gainesville, GA.
Our hours of operation are Monday through Friday 8:00 AM to 5:30 PM and Saturday 8:00 AM to noon. Welcome to Oakwood Tire Company where we offer a state-of-the-art facility with ten large bays and the latest equipment for tire services, alignments, brakes and a variety of other automotive work. Owner Mike Robertson and his staff bring you the right tires at the right prices from MICHELIN®, BFGoodrich®, Cooper, and other great brands. We also offer quality wheels and reliable auto repair services ranging from belt and hose replacement to engine diagnostics and performance. At Oakwood Tire Co., we've provided you with fast, friendly and affordable service you can trust since 1988. Visit us during business hours or contact us online.